We won’t blame you if you’ve never heard of Nubia. This particular Chinese smartphone brand has recently been making waves in its home territory, but until now hasn’t made a big push into the western hemisphere, though its parent company, ZTE, has some presence. The Nubia Z11 is the brand’s first smartphone to launch worldwide, and touts a “bezel-less” design and camera technology which will supposedly give your DSLR a run for its money. Announced at IFA 2016 in Berlin, the Z11 is a flagship that focuses firmly on design and photography, while also offering a hearty spec sheet, complete with up to 6GB of RAM, to ensure it keeps pace with the likes of the Samsung Galaxy S7 Edge, LG G5 and HTC 10. Though we have yet to fathom why anyone would need the option of 6GB of RAM in their phone in 2016, Nubia isn’t the only manufacturer to bump up the RAM, as the very similar OnePlus 3 also boasts that amount, and costs less too. 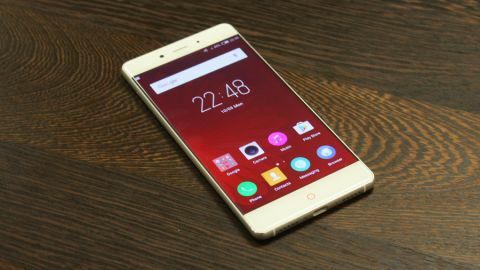 The Nubia Z11 was launched in a number of countries including the UK and US in September, with the standard silver edition (packing 4GB of RAM) costing €447 (around £385, $490, AU$655). There is also a gray model and a special model - the Black Gold Edition – that both come with an almighty 6GB of RAM and a price tag of €614 (around £510, $670, AU$875) and €632 (around £535, $690, AU$900) respectively. Even the standard version is a bit pricier than the $399/£329 (around AU$450) OnePlus 3 – its closest competitor – but the Z11 trumps its rival with a microSD slot and a slightly more premium design. The Nubia Z11 doesn’t pack a QHD screen like the Samsung Galaxy S7, though at 403 pixels per inch, the 5.5-inch, 1080p, IPS LCD display is still very clear and – thanks to the bezel-free design – feels incredibly inviting and responsive. Beneath the plush silver exterior, the ‘standard’ Nubia Z11 we were sent to review packs some fairly serious hardware. Nubia’s heavily-skinned version of Android 6.0 is driven at speed by 4GB of RAM and a quad-core Snapdragon 820 processor – the same you’ll find in other pricey flagships such as the Sony Xperia X Performance. Packed into the 7.7mm slim body there’s 64GB of internal storage, a microSD slot for extra media capacity, a reasonable 3000mAh battery, an 8MP front camera and a very snappy fingerprint scanner for added security. The main attraction is the Z11’s 16MP rear camera, which combines an OIS (Optical Image Stabilizer), Nubia HIS (Handheld Image Stabilization) and EIS (Electronic Image Stabilizer) to produce photos that Nubia claims can rival DSLR quality. Alongside the flush camera there’s also a two-tone flash. A couple of welcome additions are included in the box, such as a USB Type-A to Type-C cable, a handy micro USB to USB Type-C adapter and a rather nice pair of headphones. It’s surprising to even see a set of headphones come with a mid-price smartphone these days, so this good-looking set are a real bonus. There’s no denying that the Nubia Z11 is a pretty phone, but like so many other modern smartphones there’s nothing particularly ground-breaking about the design. The volume and power keys are exactly where we have come to expect them, positioned on the top third of the right edge. Both keys are fairly simplistic, and not overly tactile, but they are at least responsive. One of the most striking features of the Z11 is the lack of bezels down either side of the 5.5-inch display, which makes this large phone feel a little smaller and easier to hold one handed, whilst also looking rather dashing to boot. Unfortunately there’s no one-handed mode like you’ll find in the Huawei P9, so you’ll likely still be using two hands most of the time. Round the back, a fingerprint scanner falls nicely under your forefinger for very speedy unlocking – Just like the Nexus 6P. We would prefer a front mounted reader, as it allows you to unlock the phone when it’s sitting on a desk. With a rear-mounted scanner you will always have to pick the phone up to see beyond the lock screen; that said, it’s very quick and never failed to recognise our digits. It's a minor compliant, but one which is more annoying here as the Z11 features navigation buttons below the display, so there’s no obvious reason that a scanner couldn’t have been baked in. A circular home key is flanked by two hidden capacitive navigation buttons that light up on contact, and can be customized to your desired preference - the stock functions are back and multi-tasking. On the bottom edge, a USB-C connector is flanked by twin speaker grilles which look suspiciously similar to those found on the Apple iPhone 7 – not that this is necessarily a bad thing (though there’s only a single speaker onboard). Unlike the latest Apple handset, the top edge is home to a 3.5mm audio jack and an infrared transmitter (though oddly no apps are bundled to make use of it).